Get ready for more severe heat on the way to Northern California in your Thursday forecast. An Excessive Heat Warning is projected to stay in place across the valley and lower foothills through 8pm on Friday, and a Heat Advisory will stay in place for upper foothills and Northern Mountain areas through that same time. 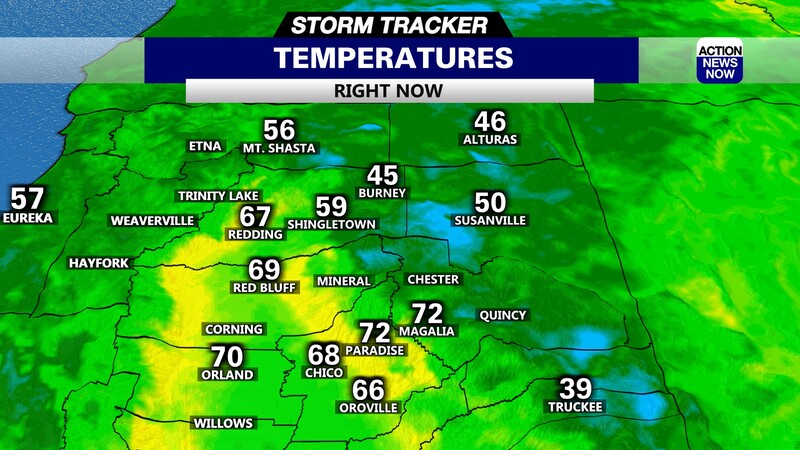 We are starting out very warm this morning, with valley areas in the mid to high 70's, and mountain areas dipping into the mid 50's to low 60's overnight. 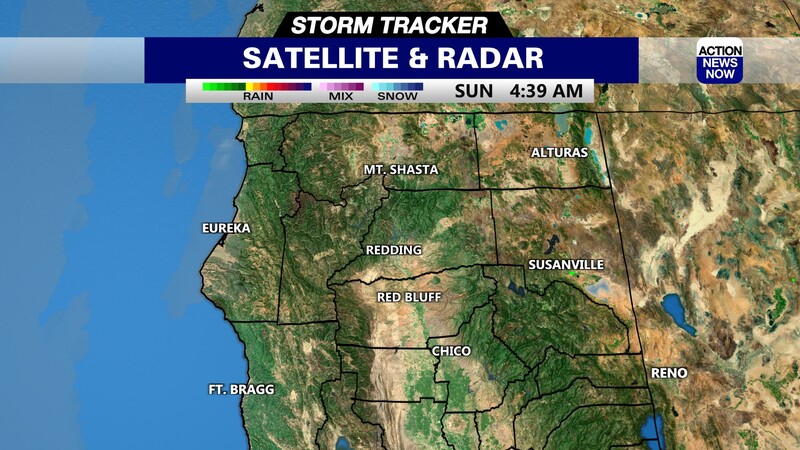 Skies are mostly clear this morning, and are expected to stay sunny for the majority of our region today. A few clouds will likely track across higher elevations this afternoon, but the threat of thunderstorms is not as strong today. Winds are expected to stay out of the Northwest to 10mph this afternoon, and humidity will dip into the 5 to 20 percent range later today. Temperatures are projected to climb into the 107 to 112 degree range in the valley, and mountain areas will end up in the 97 to 104 degree range later today. The severe heat, very low humidity, and North winds will result in high to extreme fire danger this afternoon. Please be extremely cautious as fire danger, and heat related illnesses will be a major concern for today. Temperatures are expected to drop by around 2 degrees tomorrow, leaving the valley with high temperatures in the 105 to 110 range for your Friday afternoon. Skies will stay sunny, and winds will be light on Friday. Temperatures will then drop by another degree or two each day through the weekend. 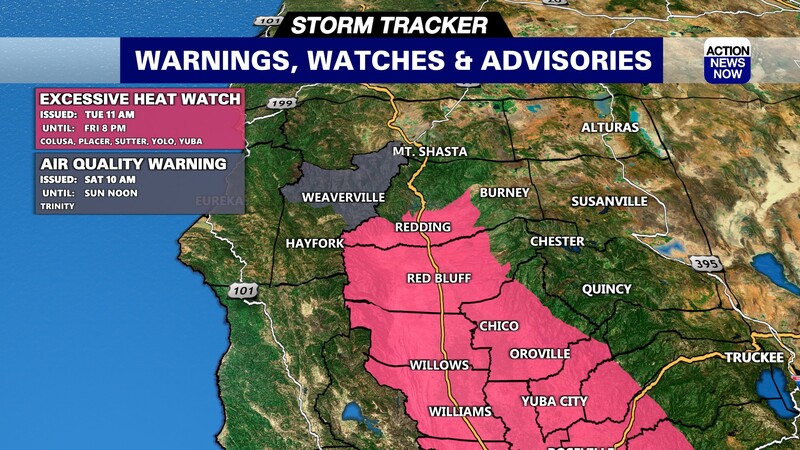 It would not be surprising to see one of our current heat warnings extended through the weekend, especially in the Northern end of the valley where temperatures are still expected to be in the 108 to 110 degree range. Another drop in temperatures is projected for the start of next week, but that will only be by around 2 to 3 degrees compared to temperatures from the weekend. Valley areas are still projected to get up to 103 to 107 degrees for the start of next week. Temperatures will stay well above average through your 7 day forecast, with triple digit heat expected to continue through the middle of next week.